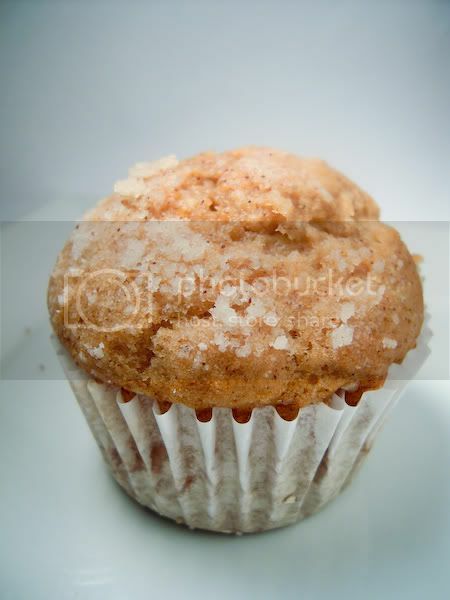 flour on her nose: Almost Healthy Pumpkin Muffins. 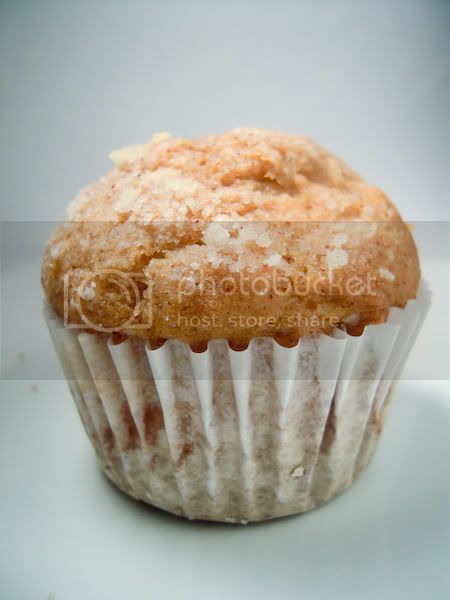 One thing you can do is replace half of the flour in any muffin recipe with whole wheat flour. If you replace all of it, it changes the flavor and texture of your muffin (many say for the worse - I actually like it) but if you change half of it, you get the most amazing texture with very little flavor change. The outside becomes crisp while the inside remains incredibly tender. That's right, Anonymous #2. I meant to mention that, but I get rather scatterbrained when typing. Virginia can't decide if it's summer, fall, or winter? lol You should try being in Minnesota when it can't decide either. Brrr!!! 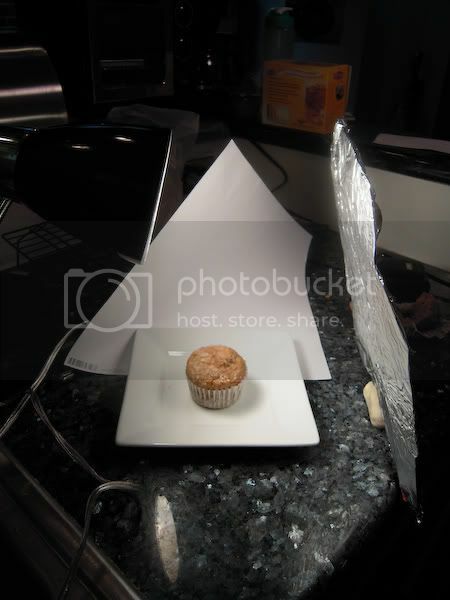 Oh also I forgot to add, that's not a bad setup for your muffin pics. Tinfoil? I might have to use that idea in the future. Oh jeeze, I'd probably die in Minnesota. Living in the mid-Atlantic leads to a very low tolerance for temperatures higher than 80 or lower than 60, hahaha. Thanks for stopping by. I love these muffins. And actually I think your photo set up is very smart! Hope you are feeling better. The weather here is the same 40, 73, 52...it just can't decide. Yeah, tinfoil is a great replacement for an actual reflector. You can use the dull side for softer light, and the shiny side for brighter light.